How Do You Know When It’s Time to Clean Your Carpet? If you wonder how often you should clean your carpet, you’re probably not alone. As a general rule, every six months is a good idea – however, certain factors can affect this recommendation. If you have pets in your home or live with smokers, for example, you may find that you have to clean your carpets more frequently. Summer is here and your family and pets are running in and out of the house, tracking dirt and debris everywhere! 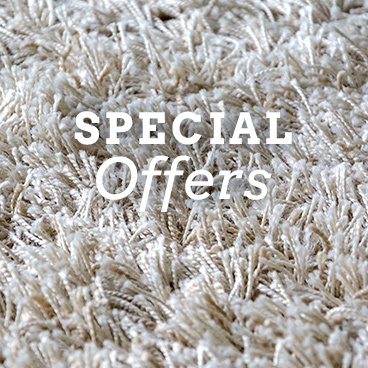 You’ve just invested in a new carpet and want to keep it looking new and clean. But this everyday dirt, dust, and debris is tearing at your carpet’s surface and wearing it out, so it’s important you remove all of the dirt. 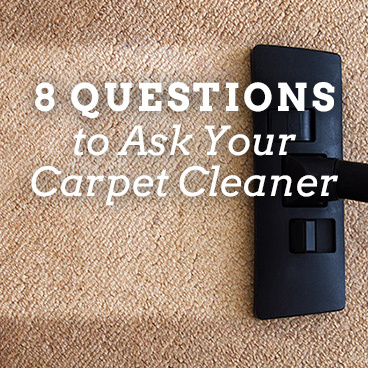 But how often should you clean your carpet? For most of us, our dogs are a member of the family – which means they also often have full run of the house. And during the summer months when dogs are more likely to be outside playing, picking up dirt on their paws and shedding more, keeping the house clean is a challenge. While you may have to make some adjustments to keep your home clean, for dog lovers, the benefit of having your pet far outweighs the extra time you will spend cleaning up after him. With summer nearly here, chances are you’d rather be enjoying outside activities with your friends and family than staying inside cleaning your house. However, this time of year dirt in traffic areas can increase because family and pets are going in and out of doors more often. And with the kids home from school, clutter can build up very quickly. With spring flowers beginning to bloom, it’s time to sort out your closets, clear the clutter in your home and bring some fresh air into your living space! Not only will you feel more organized, but with surfaces and floors less crowded, dusting, vacuuming, and maintaining a clean house will be easier. Did you know that, in addition to pollutants like dust mites, pet dander, mold, dust and dirt, toxic gases in the air can adhere to your carpet? Plus your carpet can hold eight times its weight in toxin-filled dirt! This is a health concern for all of us. But for those sensitive to allergens, it can be an even bigger problem. In today’s busy world, most of us don’t have a lot of extra time for housekeeping. 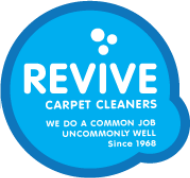 Hiring professionals can give you a head start --Revive technicians can preserve your carpet with yearly professional cleanings. But how do you keep your home looking nice in between visits when your time is limited? Here are two easy tips to make that task go faster – and you won’t have to clean as often! 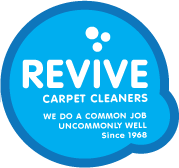 We have served thousands of satisfied customers and refreshed tens of thousands of carpets in almost 45 years of providing superior service to customers on the Eastside and throughout the Puget Sound. Just ask us for the name of one of your neighbors. Despite any precautions you take and all the preventive measures you have in place, spots can still occur. And those spots can ruin the appearance of your carpet.